When: Tuesdays and Wednesday Term-time. 30 minute classes grouped according to age. Check local Monkey music website for up to date timetable. Join us for instrument playing, singing, dancing, colourful props, parachute play, sensory and bubbles. The structured curriculum is designed to meet the developmental stage of your child each step of the way. Every class is delivered by highly skilled, live singers trained in early years music education. 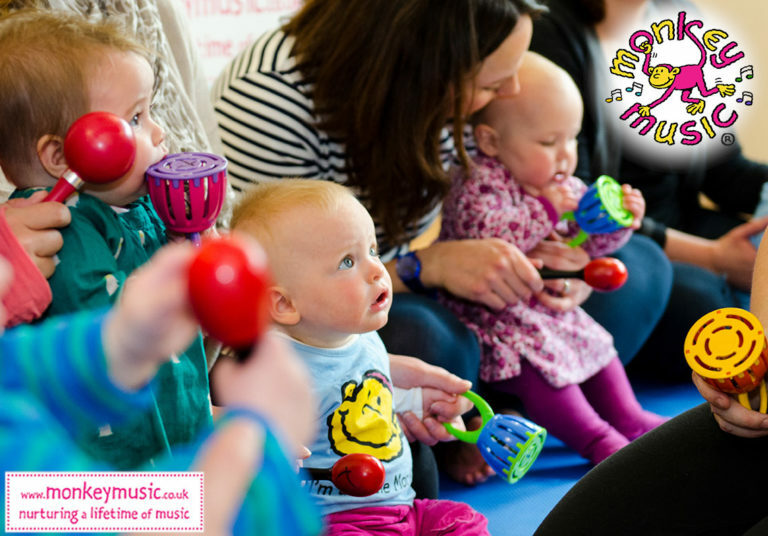 The first class you attend is free and must be booked in advance via the Monkey Music website. Classes operate termly between 10-13 weeks in length but you can join our classes at any time in the term.